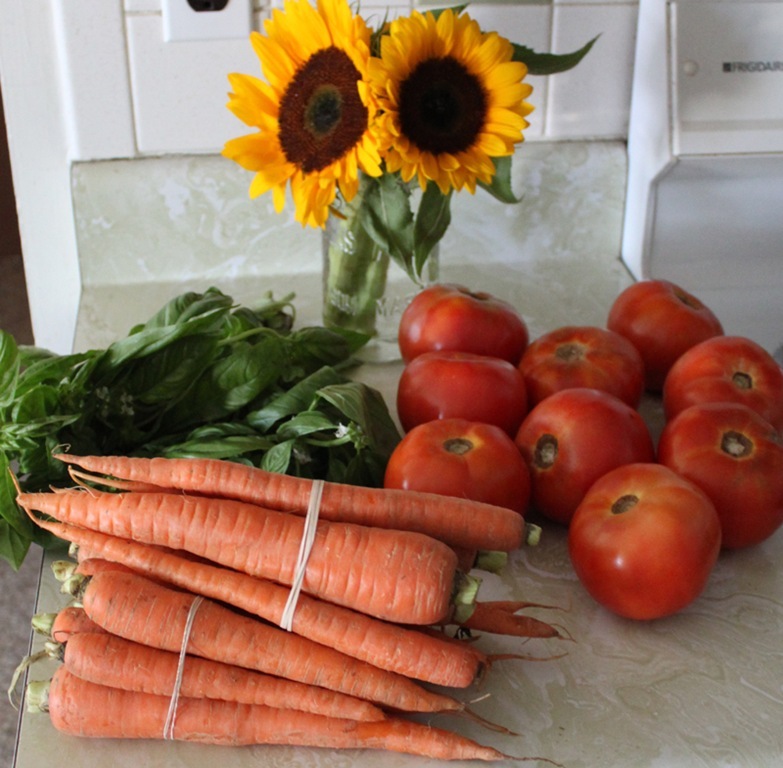 I love me a great farmers market haul. 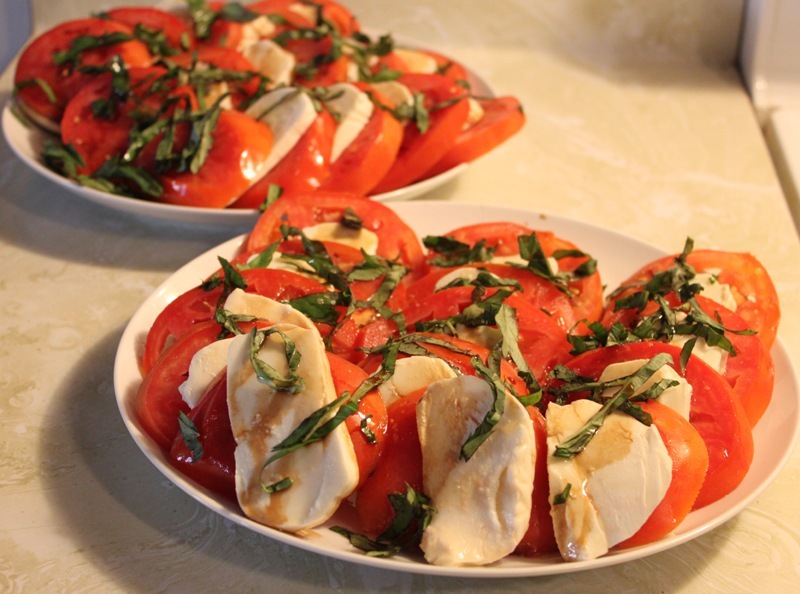 From my latest trip I got deliciously sweet carrots for John’s birthday cake, some summery sunflowers, and tomatoes and basil to make this caprese salad. I love caprese salad. It’s so simple but with the right ingredients can be a real superstar. Especially when they are fresh from the farmers market – it increases the quality so much! It also reminds me of going out to eat somewhere fancy as well as any meal I’ve shared with my in-laws. All happy feelings! 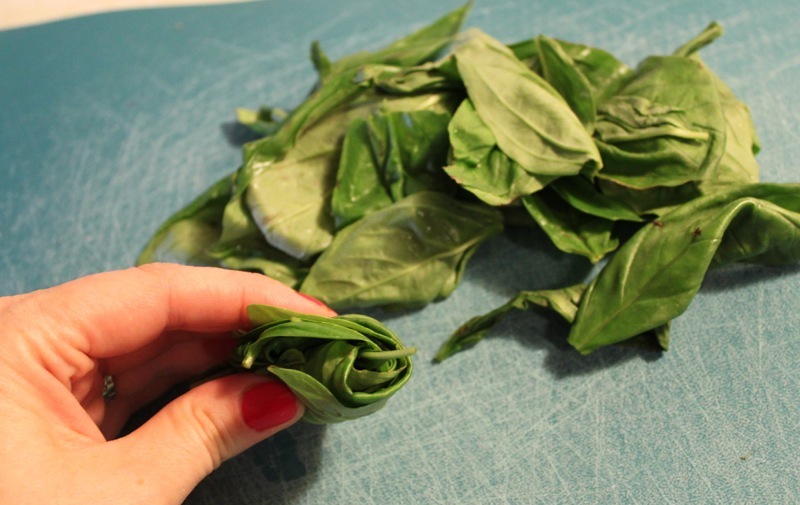 The first steps are to chiffonade your basil and thickly slice your tomatoes. 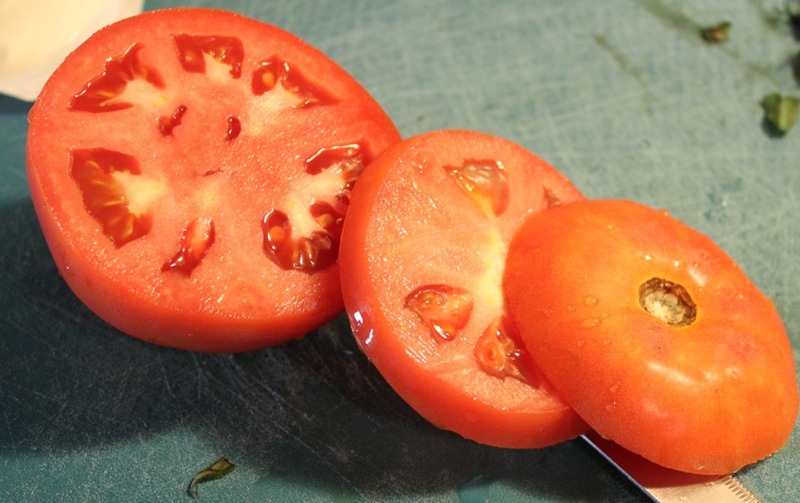 I discard the very top and bottom of the tomatoes (no one wants a stemmy bite). 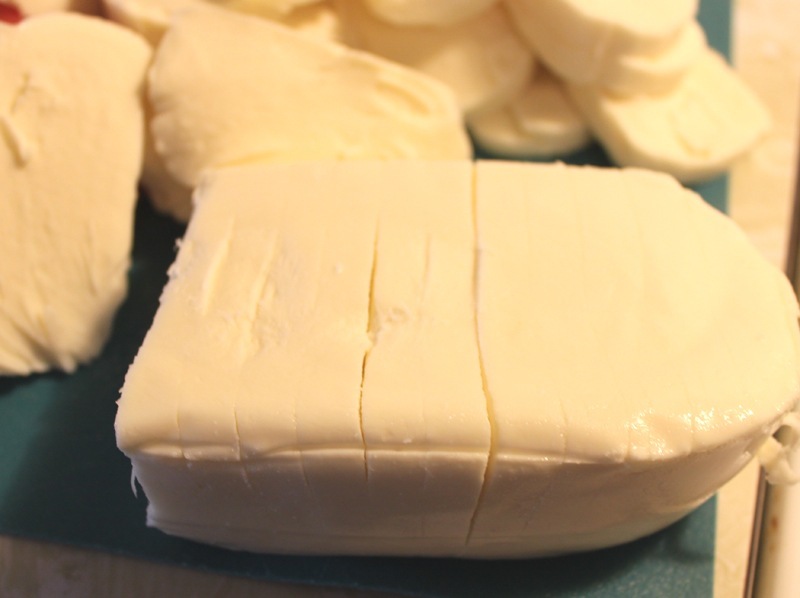 Next cut your mozzarella into uniform slices — or just peel apart the pre-sliced pieces, in my case. I love this stuff! And it’s really good quality mozzarella too, creamy and firm. I like to set up an assembly line to keep everything neat and organized. It also gives me a better sense of how many layers I can make and how to get creative with what’s left towards the end. 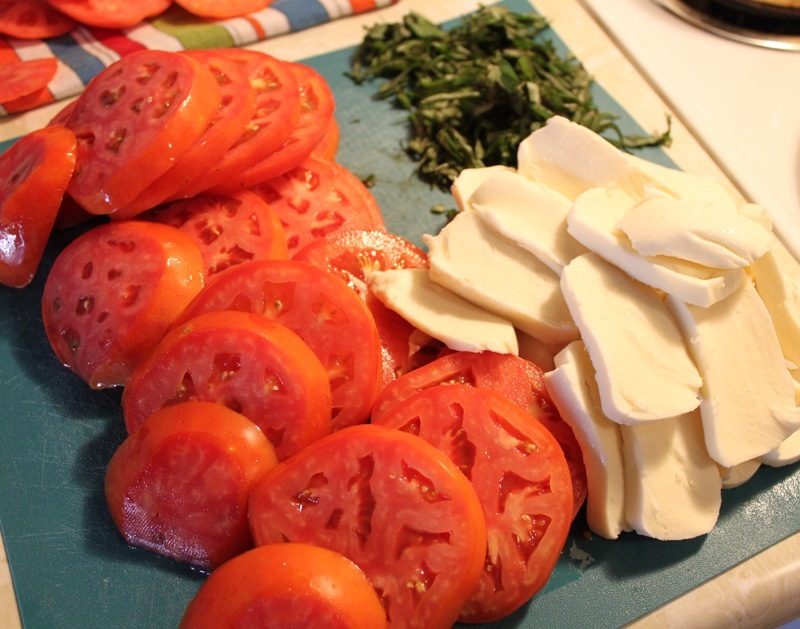 Layer the cheese and tomatoes together and then sprinkle on the basil when your platter is complete. For the final touch, drizzle on your EVOO and balsamic vinaigrette, and sprinkle on a tiny bit of salt. There you have it – a gorgeous, elegant, fresh, healthy summer appetizer! 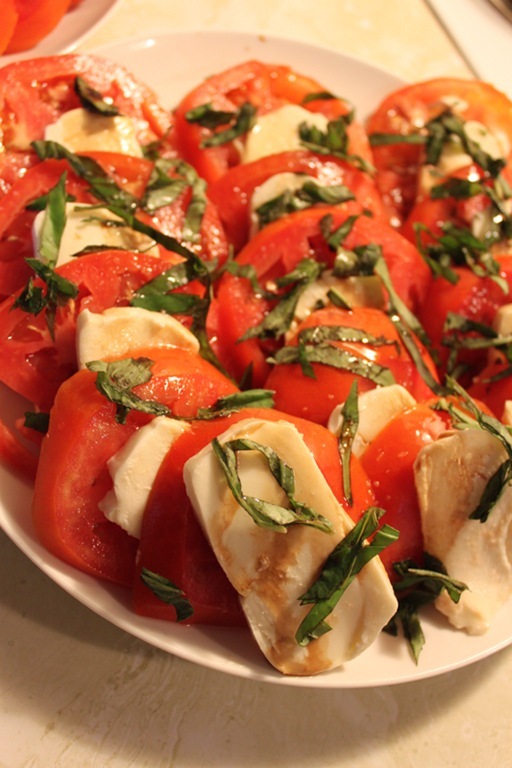 Caprese salad is one of my favorites…simple, quality ingredients – treated with respect. It doesn’t get any better than that! Exactly! I debated even doing a recipe blog on it because it’s SO easy but you’re so right – with the right care and ingredients, it’s the perfect salad!